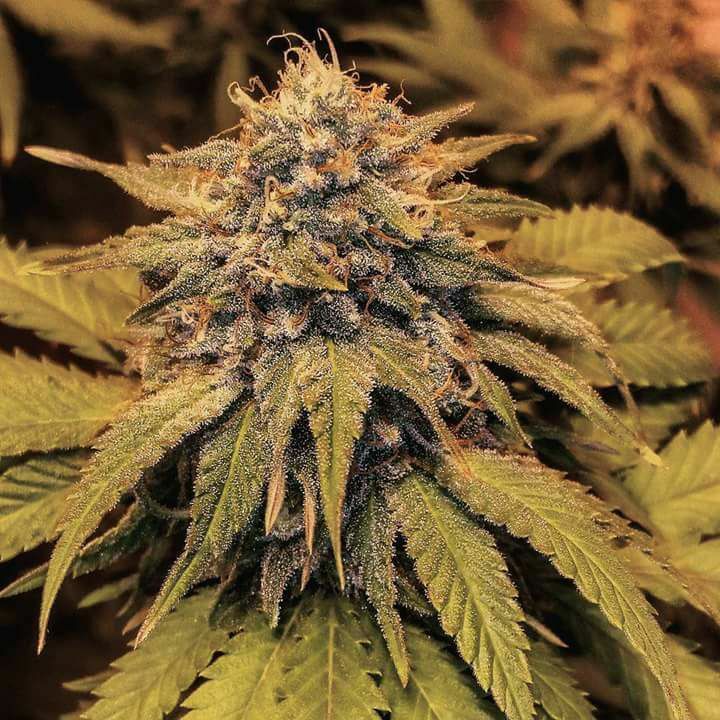 Starlet Kush is a pure Kush plant with a deep Afghani heritage. She shimmers in vegetative state with with trichome production. This is the high end Kush the upper echelon like to keep on hand, hence the name "Starlet". 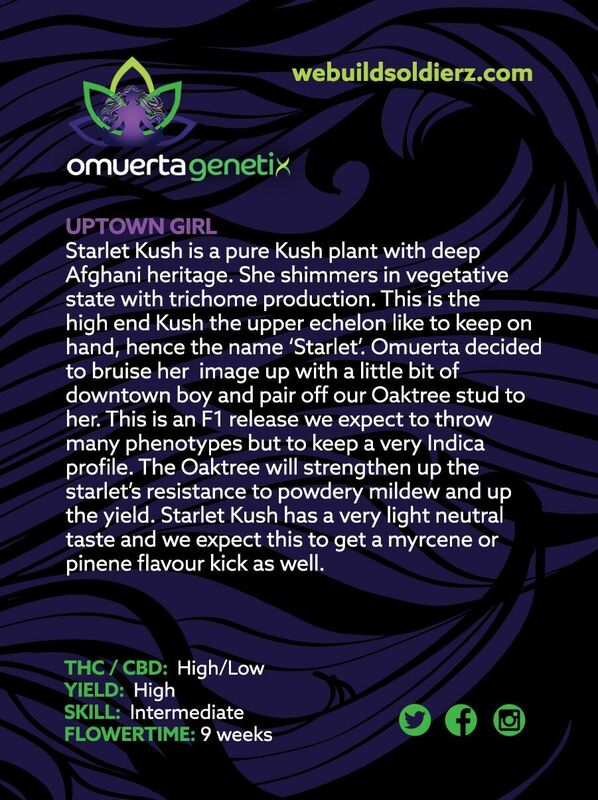 Omuerta decided to bruise her image up a with a little bit of downtown boy, and pair her off with our Oakland PK stud "Oaktree" This is an F1 release we expect to throw many phenotype's but keep a very Indica profile. The Oaktree strengthens up the Starlet's resistance to powdery mildew as well as increases the yield. Starlet Kush has a very light neutral taste and we expect most phenotype's to get a Myrcene and/or Pinene and Linalool blend as well. Uptown Girl boasts large terminal colas on plants if left untopped. and flowered as a shorter plant. She will spread out under a SCROG grow but it is best for yields if left to flower out naturally without training. Stakes are advised as these plants will stretch and then fill in heavily. A very beautiful plant with unique flavors and aromas, Uptown Girl is a daytime to evening smoke of very high quality and we received very high praise from our growers who tested these seeds before release. Do not over look her, she may be high class, but she can go home with you tonight!